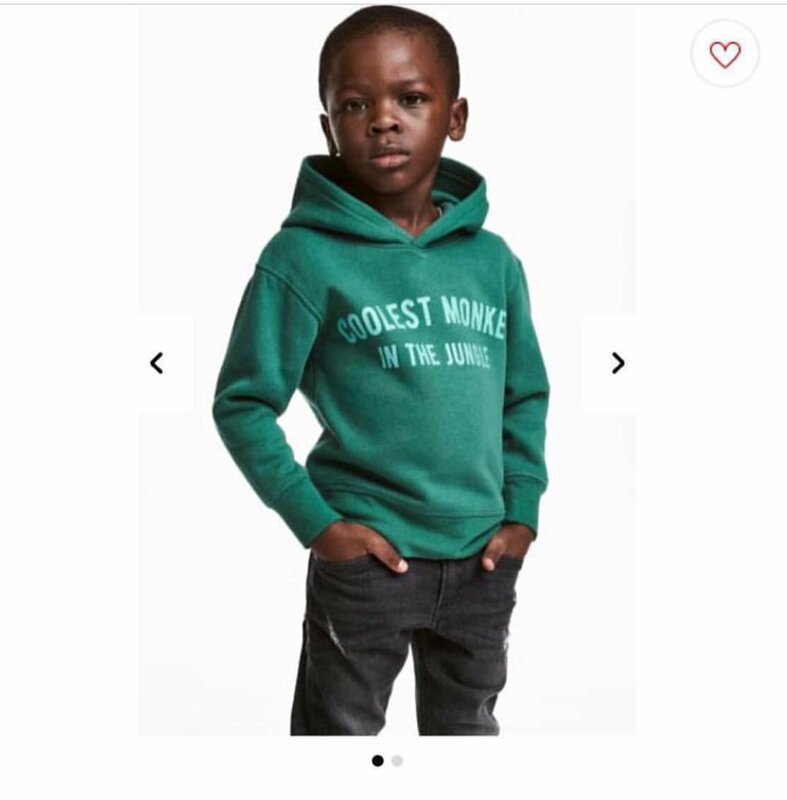 The brand removed the image and apologized, but kept in place other designs modeled by white children. Toronto native the Weeknd tweeted he was “shocked and embarrassed” and “deeply offended” and would no longer work with the clothing brand. The Weeknd first announced in November 2016 that he would be handpicking items for a spring 2017 clothing line bearing his name. He later released a fall line with clothing including jackets, sweatshirts and hoodies. Cue the forum racists. . .
Likely just an oversight on their part...but a pretty dumb one. "H&M Sales Skyrocket in Alabama and Saskatchewan"
I consider all children to be little monkeys. I call my daughters that all of the time. I don't see how that is necessarily racist unless there was a racist intent. For example, I wouldn't have batted an eyelid if the kid was white. I'm not saying there was no racist intent. Maybe there was, maybe there wasn't. I'm just saying though that it doesn't appear that any racist intent has been shown. Let's give the benefit of the doubt here. This is the Alvin Garrett thing all over again. "Whitest Trash in the Dumpster"
Don't be so hard on youself. Even uppity, conescending douchebaggery can be overcome with some effort. Canada Severs Diplomatic Relations with Iran!! !